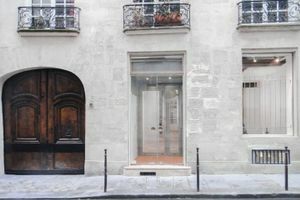 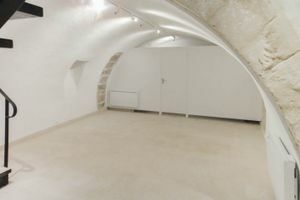 This elegant showroom in the Marais is heavy on charm and texture, and an ideal venue for Pop-Up Store, Fashion Showroom and Exhibition. 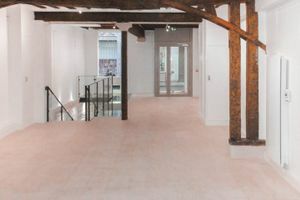 Entering through a glass door on the street, we find light tiled floors and long white walls accented by charming wooden beams and lovely spot lighting. 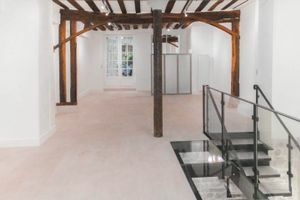 Modern black staircases lead either downstairs to an impressionable vaulted cellar or upstairs to a modern space that masterfully combines old and new with wooden ceiling beams and modern lines. 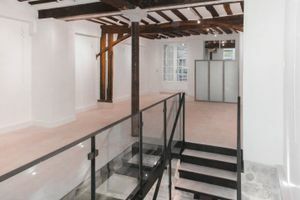 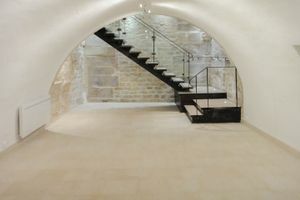 Situated in the bustling area betwixt Arts et Métiers and Beaubourg.